Full Price: $ 18.00 8% off! 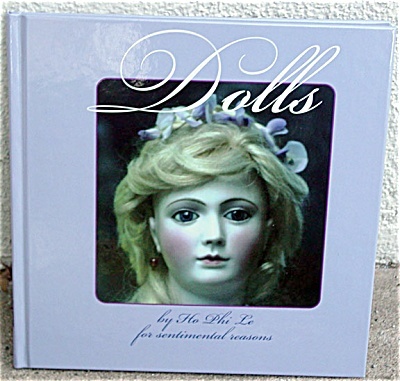 Hardcover gift/art book, by Ho Phi Le, 'Dolls for Sentimental Reasons', is 64 pages long. This book contains color photos of antique dolls that illustrate inspirational and love messages with vivid nature and antique doll photos and art. The book was published in 1999, by Hobby House Press. Its ISBN No. is 0-87588-516-0. This book is new old stock. Expand listing to view both photographs.